Both personal and universal, this is a compelling story about high school, family and owning up to who you really are. Farizan is just the voice YA needs right now. Trust me, you'll be glad you listened. --Sarah Dessen Leila has made it most of the way through Armstead Academy without having a crush on anyone, which is something of a relief. As an Iranian American, she s different enough; if word got out that she liked girls, life would be twice as hard. But when beautiful new girl Saskia shows up, Leila starts to take risks she never thought she would, especially when it looks as if the attraction between them is mutual. 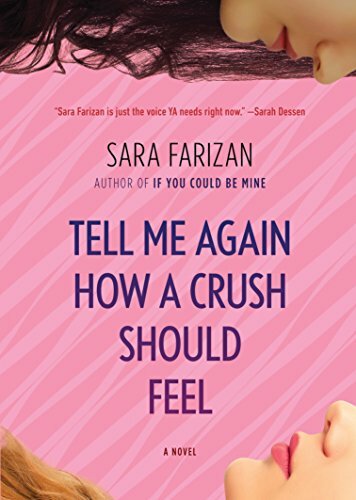 Struggling to sort out her growing feelings and Saskia s confusing signals, Leila confides in her old friend, Lisa, and grows closer to her fellow drama tech-crew members, especially Tomas, whose comments about his own sexuality are frank, funny, wise, and sometimes painful. Gradually, Leila begins to see that almost all her classmates are more complicated than they first appear to be, and many are keeping fascinating secrets of their own. "